By far the largest market is that of public safety, where the trend is for the deployment of nationwide networks shared by all public safety organisations for reasons of economics (sharing), autonomy of operation for routine communications and the ability to fully interoperate with other services during emergency situations and disasters. The transportation market is the next fastest growing market, especially for Mass Rapid Transport systems and major Airports. Interestingly, TETRA is also used by the military for non-tactical operations, a market application not originally anticipated for TETRA. Because TETRA has been specifically developed to serve traditional PMR users and is optimised for medium to high capacity applications by utilising Time Division Multiple Access (TDMA) technology, TETRA is also used for Public Access Mobile Radio (PAMR) applications. The success and market uptake of TETRA has also created a strong base of application developers who are able to provide a wide variety of applications for use with TETRA. An important advantage of the TETRA standard is that it has a number of open interface specifications that can be used by application developers to further enhance the capabilities of TETRA. Similarly, manufacturers are able to provide (under license) details of their proprietary interface specifications in support of specific applications. Figure 1 shows all the interfaces on TETRA, some of which can be used by application developers. The interface specifications that are commonly used by application developers are described as follows. 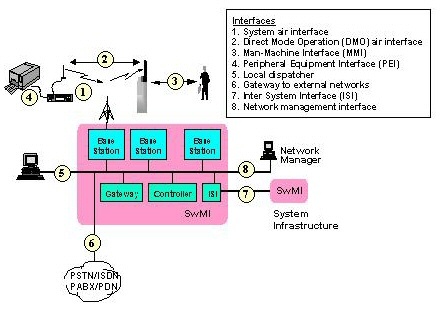 To utilise the air interface, application developers often use the Peripheral Equipment Interface (PEI) (described later) or a manufacturer specific interface on radio terminals for applications. As this interface has not been standardised only TETRA manufacturer specific interface specifications are available to support the many voice and data applications requiring access to TETRA infrastructures. This standardised interface enables TETRA to interface with the PSTN, the ISDN and/or PABXs as required by both user organisations and application developers. 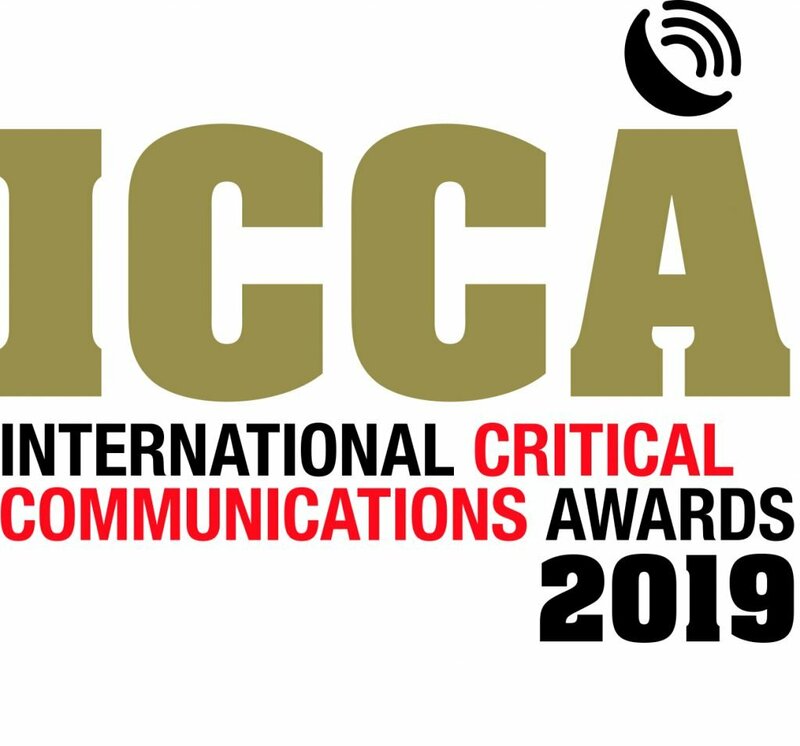 This standardised Inter-System Interface (ISI) allows infrastructures supplied by different TETRA manufacturers to inter-operate with each other allowing interoperability between two or more networks. There are two methods of interconnection in the standard, one covering information transfer using circuit mode and the other using packet mode. Application developers are expected to utilise this interface when it becomes available on TETRA networks. As this interface has not been standardised only TETRA manufacturer specific interface specifications are available to support the many network management applications requiring access to TETRA networks. Because of the size and success of TETRA, as well as the many applications required by traditional PMR user organisations, there are a wide variety of applications available from numerous application providers. Further details can be found on the TETRA Association member’s page (members). Once the membership list has been accessed, use the left hand menu to link to application providers. With the traditional PMR market segments TETRA is often used for specialist applications such as operation of terminals in Hazardous Environments and Public Protection & Disaster Relief (PPDR). More information on these special applications can be found by clicking the highlighted links.